Take on a new health kick! Need a new year health kick? try Kick boxing! KICK-BOXING is good for your heart as it increases the heart rate and in turn increases blood flow which means a healthy heart and good healthy clean lungs as you will intake more oxygen. It improves joints for flexibility and easy movement that could help in the future with arthritic pains. A gain in strength, balance and coordination will help ease any day to day activity. It’s also a great way to tame stress as it will help with blood pressure. You can expect a physically demanding workout, especially if you go all-out for an hour-long class. Not ready for that? 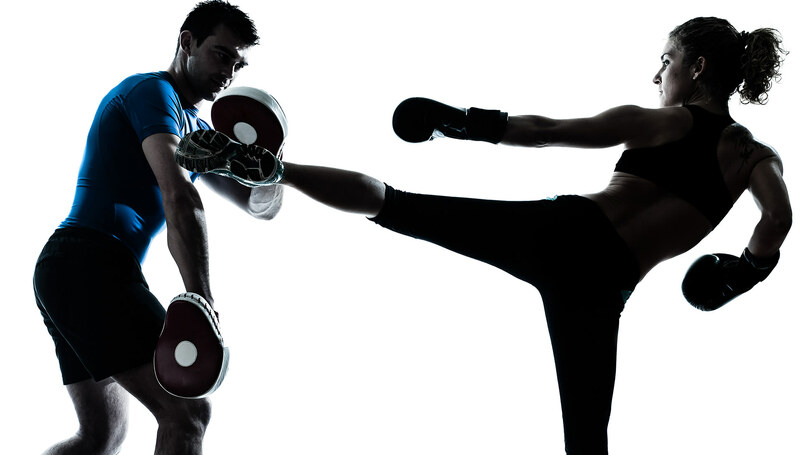 You and your instructor can modify kick-boxing to meet your needs. Work at your own pace. Start slow and drink water during and after your workout. If you don’t feel well, stop. If your doctor says it’s OK for you, kick-boxing is a great way to help manage many heart- and diabetes-related disorders by burning fat,sugar,calories,and will help keep you fit and healthy. If you need to modify any moves or an entire session for health reasons it’s often possible just let your instructor know. knee or back injuries can hinder you as doing squats, twisting, and balancing on one leg can stress your back or aggravate a knee problem Kick-boxing makes you stronger, which can prevent injuries like these in the first place. If you’re pregnant and you’ve been kick-boxing, ask your doctor if it’s OK for you to keep doing it. Make sure you drink plenty of water and don’t get exhausted by the workout and take it at you’re own pace as you’re self and baby are priority. Cardio, Blood Pressure, Healthy Heart, Breathe Easy, Healthy Lungs,Stress Relief and Burning off unwanted Calories. Why it’s Proven To Be Irresponsible To Not Vaccinate Your Child! When Facebook founder Mark Zuckerberg posted a photo earlier this month of his two-month-old daughter in the doctor’s surgery waiting to be vaccinated, he was poking a hornet’s nest. Thousands of people waded in to comment on the pros and cons of vaccination, and the trip to see the doctor became a global news story. Why? Because many people still question the medical efficacy of vaccinations. In September, Republican presidential candidate Donald Trump told the story of the child of one of his employees who is, apparently, now autistic after being vaccinated. In America, a parade of celebrities and high-profile politicians insist that vaccinating children is a “parent’s choice”, rather than public health necessity. 15 years since the measles, mumps and rubella vaccination was officially declared safe, some people, astonishingly, still need convincing. In January 2001 Andrew Wakefield and Scott Montgomery questioned the safety of the measles, mumps and rubella (MMR) vaccination programme. The warning followed a paper Wakefield had written, published in medical journal The Lancet in 1998, which linked autism and colitis to the MMR jab. The “study” was utterly discredited, Wakefield found guilty of misconduct and he was barred from practising medicine in the UK. 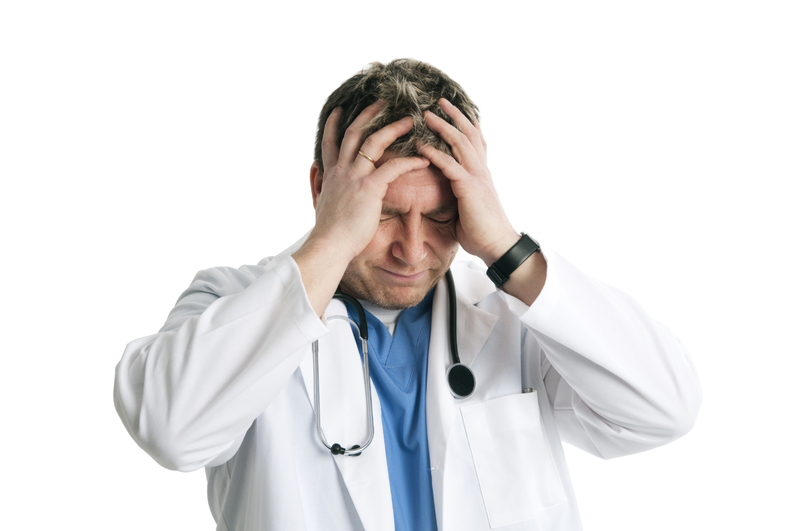 The Lancet withdrew all support, striking it from the record and stamping “Retracted” in angry red letters all over the his paper. Yet still the myth that the MMR is unsafe persists. It is a myth that has caused fear in parents and placed children at risk of diseases more suited to a Dickensian slum than the 21st century. It has caused the anti-vaccination movement to become an inherent part of US politics, spewing out scaremongering misinformation at both fringes of the political spectrum. Tragically, it has contributed to outbreaks of measles that should never have happened, such as the 1,219 cases (including one death) in Swansea in 2013, or in Disneyland in 2015. We shouldn’t need to tread over this ground again; as with climate change, we’re well past the point of denial. There is no link between the MMR vaccine and autism. None. But just in case anyone is in any doubt as to the damage the MMR–autism lie has wrought on thousands of lives, let’s go over the hard facts one last time. The measles vaccine was introduced in the UK in 1968. The MMR vaccine, introduced in 1988, gives protection against measles as well as mumps and rubella. MMR is given in two doses: first at around 12 months, then a booster around the age the child starts school. Before 1968, there were between 160,000 and 800,000 cases of measles, causing around 100 deaths, every year in the UK. In 1998, the year of the Wakefield paper, England and Wales had 56 cases of measles. There had not been a death from acute measles since 1992. The figures speak for themselves: the vaccine is one of the most effective in the world. At the time the Wakefield paper came out, around 91.8 per cent of children aged two had been given the MMR vaccination – a terrific figure, that approached the 95 per cent recommended by the World Health Organisation to achieve what’s called herd immunity: the point where so many people are vaccinated it stops the spread of the disease in its tracks. By 2003, five years after the original Wakefield paper, MMR vaccination rates crashed to a mere 79.9 per cent at two years of age – the lowest it had been since the vaccination was introduced, and nowhere near herd immunity levels. That year England and Wales had 438 cases of measles; 298 were in children under 10. In 2006 there were 740 cases. In 2009 it was 1,144 cases. By the end of 2012 it had swollen to 2,030 cases year. There was a large outbreak of mumps affecting some 56,000 students in 2004 unrelated to the MMR controversy: the group, born in the mid 1980s, were too old to have had the MMR jab and too young to have natural immunity. As for rubella, MMR has virtually wiped it out in the UK, from 3,922 cases in England and Wales in 1996 to just one case in 2014. Today, we are bouncing back from the chaos the MMR panic created. Immunisation rates are at a healthy 92.7 per cent – higher than 1998 but still below that golden herd immunity target of 95 per cent. Yet the damage has already been done. An entire generation was put at risk. Now we must ensure it is never repeated. If we are to wipe out these deadly diseases forever, we have to tackle the anti-vaccination movement head on. The rallying cry is simple: MMR is safe and saves lives. The facts speak for themselves.